I happen to catch a listen on the radio this week of how author and apologist Lee Strobel became a Christian. Part of his journey to faith was accepting an invitation to church. At church, he heard Christianity explained to him with such clarity that it started his thorough investigation into the Christian faith. 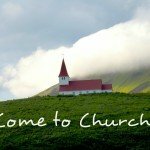 How do unchurched people find their way into a church? It usually starts because a friend invites them. 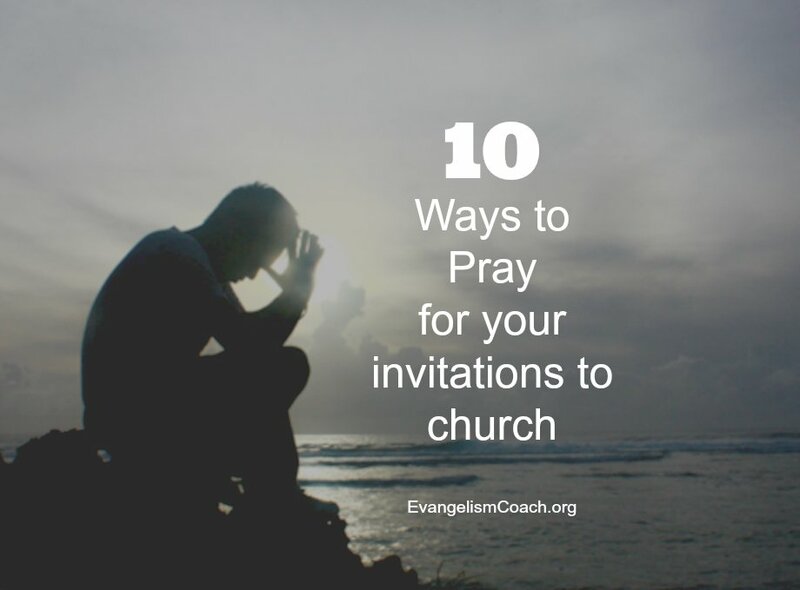 As much as I believe in giving personal invitations to church, I can’t say that I personally know that many people who sit at home just hoping someone would invite them to church. 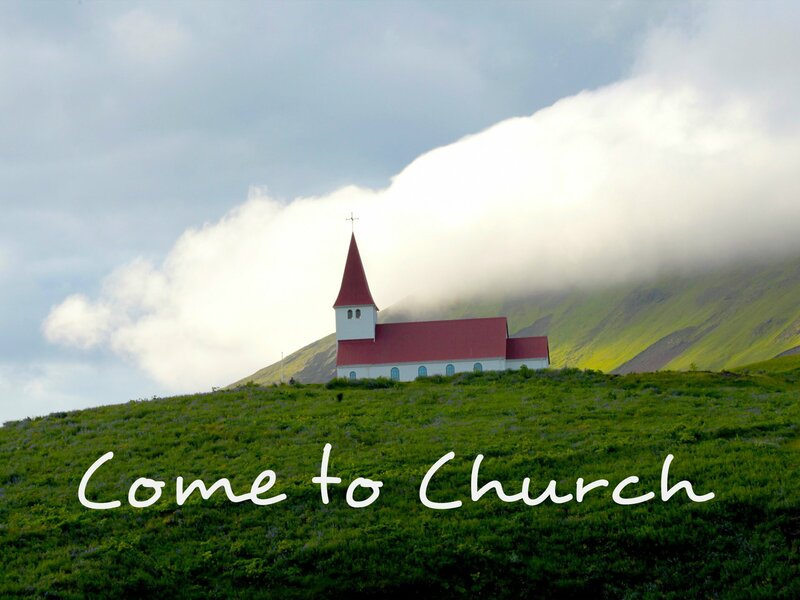 Statistics show that some people will respond to an invitation to church, and that such invitations are often part of the conversion process. 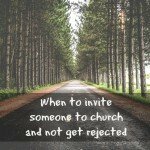 But in our busy culture, it might take months of repeated invitations before a person accepts and attends. Paul’s preaching in the synagogue is outreach, but teaching in a different place is a church gathering. What is obvious is that people were being regularly and daily saved. This no basis to say that these conversions were occurring within or outside of the gatherings. Acts merely describes what was happening. It does not define a how the church will function following this particular era. The church as a gathering PLACE is in development. The earliest glimpses in Acts shows groups of people meeting in synagogues, public squares, and in houses. Today’s PLACES of gathering is very different than the gatherings in the book of Acts. Most of us meet in a dedicated space or building set apart for church meetings. The church as a gathered PEOPLE is still a theological concept in development. It is later spelled out in Paul’s letters. The church gathered for the PURPOSE of a particular expression of worship is not the same. It does not look like the weekly gathering of God’s people for worship as we know it in nearly any form today. 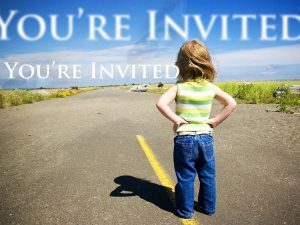 To ask the book of Acts for evidence about inviting non-believers to a church is ultimately a practice that will fail. As the remaining passages deal with the missionary expansion of the early Christians there were no “churches” in these towns for the gathering of the saints They were being created as the apostles went forth, so looking at these passages for evidence of church practices may be pointless. 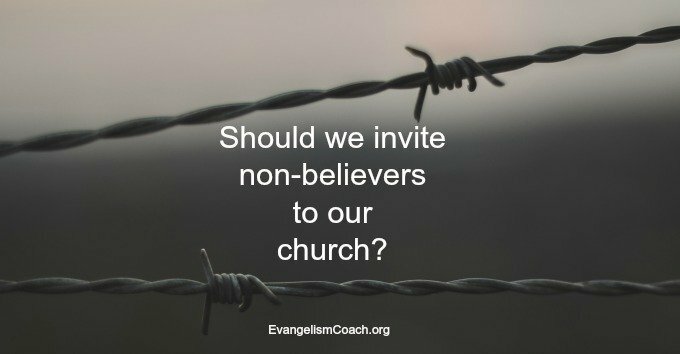 As I’ve discussed this with people, I’ve encountered a few uses of Scripture and examples that attempt to prove the point that we should not invite unbelievers to church. I want to touch a few of those points below. 1. Don’t be unequally yoked. I’m not convinced that applies to inviting a unsaved person to church hear the gospel message. Inviting a unsaved friend to church is not spiritually uniting with them. It is not asking them into membership. It is not offering them a leadership position. Instead it is inviting them to come and hear the word of God proclaimed, where they can evaluate the message for themselves. The underlying imagery from the OT is two different animals walking together. I see this passage applying to marriage, business partnerships, church leadership and other places where two would walk together in close unity. I’m not sure Paul talks specifically about church gatherings, but a lifestyle. In terms of church life, I’d see it applying to membership, church leadership positions, pastors etc. They are the leaders of the church. Members who have joined a church should of course profess faith in Jesus Christ as Savior and Lord. We do not have atheists as church members, unsaved as elders, etc. I don’t think this “yoking” or spiritual mixing occurs when we invite a non-believer to hear the word of God proclaimed in our worship services. If I invite a non-believer into a leadership position – to help me lead the church in some way – THEN that line is crossed. 2. Unsaved Visitors were Rare. Paul challenges the Corinthian church to be sensitive to visitors. At this point in the development of the church meetings as a gathering of people, unbelievers are in their midst. This passage ASSUMES their presence, but doesn’t indicate the manner in which the non-believer arrived. The verb is simply “COMES IN” but gives no indication of the manner: by invitation, by curiosity, by advertising, nothing. I’ve seen this passage used to share that the presence of such visitor was RARE. That assumes facts not in evidence. The one clear mention of a non believer being present doesn’t mean it was rare. It is an unprovable assertion. 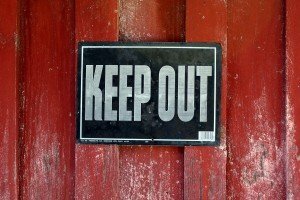 Paul’s point is addressing the misuse of tongues, not church invitations. Likewise, I cannot prove from the texts that it was a COMMON practice. I’d have to assume facts not in evidence. One cannot say the practice was RARE or COMMON without assuming facts. 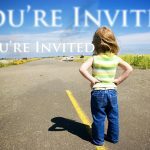 What we can say is that Paul does not prohibit the presence of non-believers in the midst of the assembly, nor does Paul specifically command that we give invitations. The point of this passage is that the Corinthian church should be sensitive to the non-believing visitors in their midst. I believe this should be part of every church’s DNA, whether you speak in tongues or not. You want your unsaved visitors to declare that God is in your midst. 3. Jesus as an example. The assertion that I’ve seen is that Jesus did not have a non-believer in his group of 12, then we shouldn’t have them as well in our churches. However, the particular question we are discussing – can we invite the unsaved to our church services – does not seem to be answered by Jesus as an example. This is a straw man, I think, for this discussion. 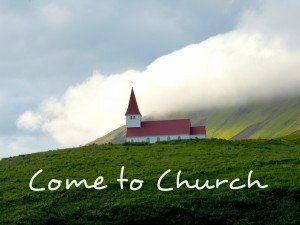 There was no church to invite people to. He lived in a different time than an organized church. Of course he didn’t yoke himself with a non-believing sinner who advocated for things not of the Lord. But he did hangout with people who needed him. He clearly hung out with people, welcomed people who sought him out etc. I don’t see him rejecting people who don’t yet believe based on a meeting place or specific type of gathering. 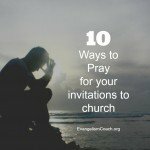 For what reasons SHOULD we invite our non-Christian friends to church? Answer in the comment field. 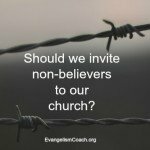 . .
Should we invite non-believers to our church services? The question came up in a discussion group I am a part of, so I’ve chosen to examine the early church patterns from the book of Acts. As I have looked at the gatherings of the disciples so far, what is clear so far there is no pattern of inclusion or exclusion, or if it is even possible to make a definitive conclusion.